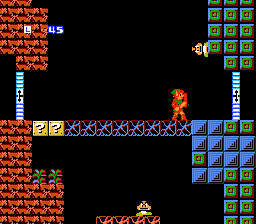 This is a 95% graphics hack of the NES game, â€œMetroid.â€ There are minor level layout adjustments also. 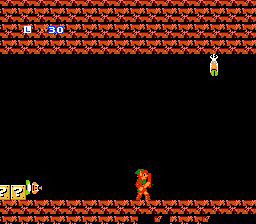 The game features Link (instead of Samus in suit) and a slightly modified Kid Icarus (instead of Samus out of suit). 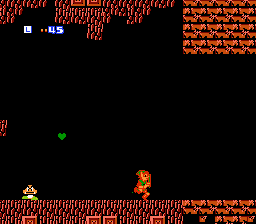 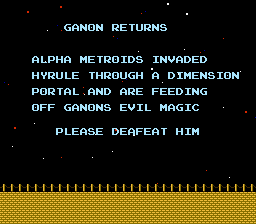 The enemies vary from games like Zelda 2, SMB 2, SMB 3, Megaman, and a few others.